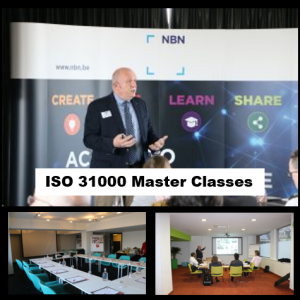 The ISO 31000:2018 Risk management training provides principles, a framework and a process for managing risk in organisations. 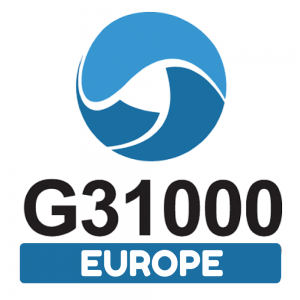 ISO 31000 helps you achieve your objectives, identify opportunities and threats, and allocate and use your resources for risk prevention and treatment. Learn more about our trainings tailored to your needs. We like to share our knowledge with the rest of the world. If you need an eloquent speaker to talk about risk management, this is the place to be. 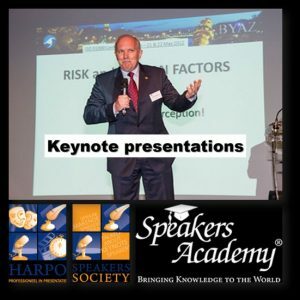 Speakers academy is the biggest in its field in Europe and we also work together with Harpo, a professional speaker’s society. Feel free to take a look at our available presentations. 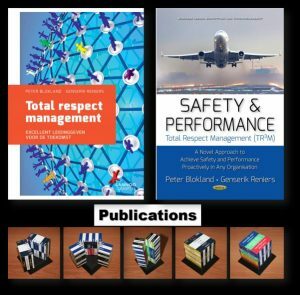 We feature a book about a novel approach to achieving Safety & Performance proactively for your organisation, and a book in Dutch about Total Respect Management, a method for the leaders of organisations to achieve excellence and sustainability. Feel free to take a look at our books, brochures and other publications.